Gerald Gillis - Gerald Gillis is a native Georgian who grew up in the Atlanta suburb of Decatur. He received his BBA from the University of Georgia and his MBA from the University of Tampa.Immediately upon completing undergraduate school, Gerald spent three years as an artillery officer in the U.S. Marine Corps. After military service, he spent the majority of his business career in the medical-devices industry where he held executive-level positions in a variety of roles. Gerald was involved in numerous mergers and acquisitions over the span of his business career, and gained significant international experience.Gerald became a full-time novelist in 2009. He has authored four novels: That Deadly Space (Mills Street Publishing, 2017), Dare Not Blink (Navigator Books, 2012), Shall Never See So Much (Booklocker, 2010), and Bent, But Not Broken (Sandlapper, 1986). 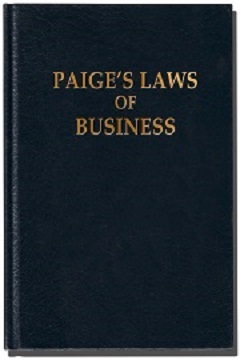 He has also authored an eBook entitled Paige’s Laws of Business (Navigator Books, 2013). His books have been recognized with multiple awards. In addition to his writing, Gerald speaks on a range of topics, to include leadership, service, and business ethics. His blogs and articles have been well-received and highly viewed. Gerald has been interviewed on numerous radio and television shows and has spoken to business and civic organizations, schools, churches, and military associations. His engaging keynote presentations are filled with intelligence, humor, and passion.Gerald is married and the father of three grown children. He and his wife continue to reside in the Atlanta area.